I initially started lessons with Mike in 1991. I had an electronic keyboard and then progressed onto an upright piano thereby fulfilling my childhood dream of playing the piano. Mike’s guidance, encouragement and patience enabled me to pass some practical exams. To improve in your pianistic ability, practice is essential and due to other commitments this soon was a struggle, so it was side-stepped. However, I was successful with my theoretical studies eventually gaining the upper grades in music theory achieving Trinity College London Grade 7 Theory of Music exam with Merit. 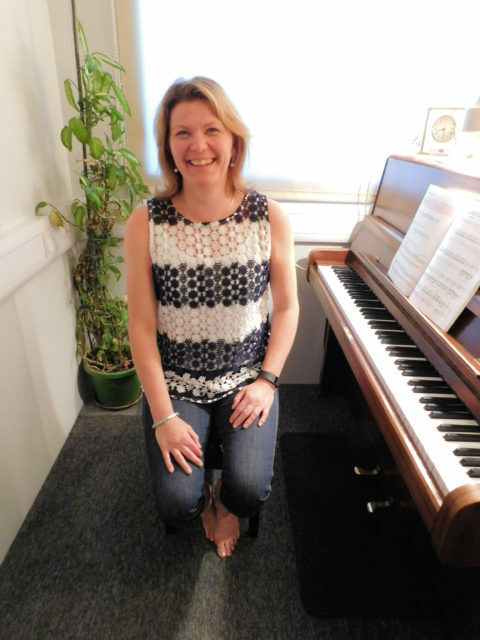 I stopped having lessons after 5 years with Mike in 1996 and the piano was sold – a decision that was later regretted! In 2011 I was offered another chance of owning a piano and leapt at the opportunity. I managed to track Mike through his website and have now resumed my lessons. Unfortunately, I am like a beginner again but know with Mike’s tuition and a lot of commitment on my part I will soon improve. The pride I feel at playing even a simple tune is fantastic and my enthusiasm hasn’t dwindled over the years. I don’t want to take any more examinations, but merely improve my skills on the piano and with Mike’s calm, patient teaching and encouragement, I am sure I will gain in musicianship.